In your mind: You: Fetch my emails! Navigate to John's house! Show me the news! Send this photo to Lynn!! iPhone: Y-y-yes master. 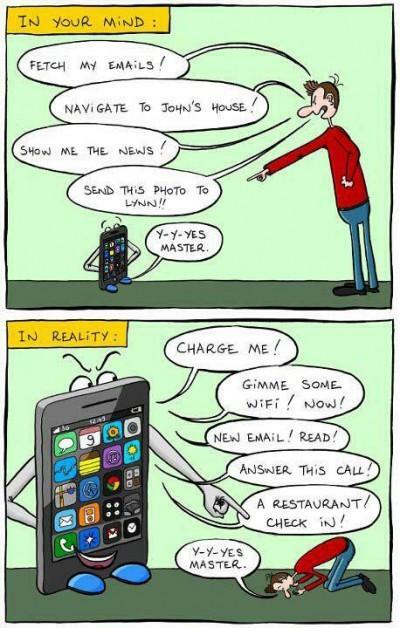 In reality: iPhone: Charge me! Gimme some wifi! Now! New Email! Read! Answer this call! A restaurant! Check in! You: Y-y-yes master. Send this photo to Lynn! !